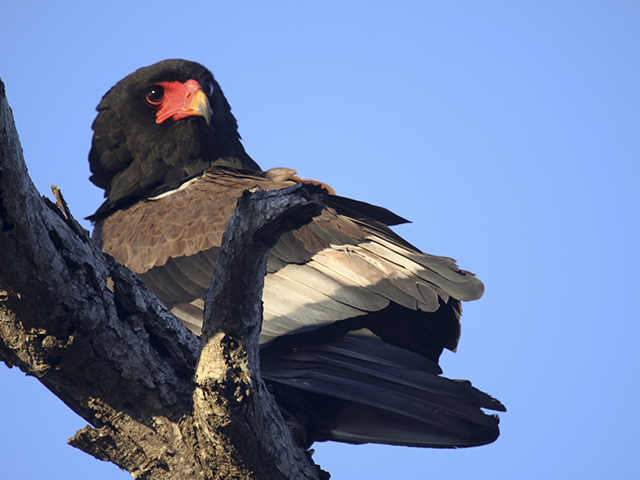 Begin your nine-day adventure by tracking big game at Timbavati Private Game Reserve in South Africa. 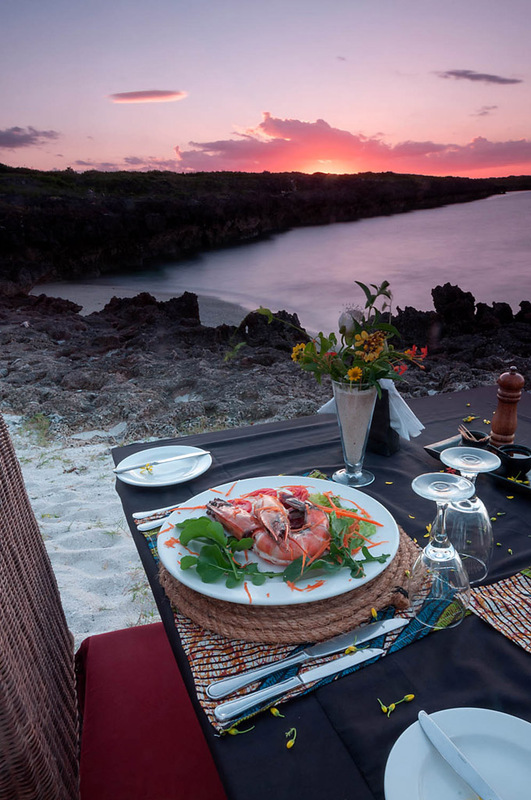 Move on to the luxurious Nuarro Lodge in Mozambique and go at your own pace for the rest of the vacation. Take part in scuba diving, kayaking, dhow cruising, and mountain biking, or sit back. Arrive at Timbavati Private Game Reserve in South Africa, relax and, prepare for your exhilarating nine-day tour. Your adventure starts at South Africa’s Timbavati Private Game Reserve located on the western edge of Kruger National Park. There is no fence between the two parks, which allows game to move freely within the parks. Along with the Big Five, you can see 40 other mammal species, such as bush babies, baboons, vervet monkeys, wild dogs, leopards, hippos, blue wildebeests, and civets. White lions have occasionally been spotted in Timbavati, though they can be difficult to track. Birdwatchers will revel in spotting the vast array of bird species found here, 360 species of birds have been seen in total. Look out for different types of herons, egrets, storks, vultures, eagles, goshawks, francolins, owls, and nightjars. Stay in the reserve at Umlani Bushcamp, which offers guests superior accommodations in the form of traditional African reed-and-thatch huts. Done in the local tribal style of Shangaan people, the huts give an authentic experience of the local area and blends in naturally with the environment. Each hut is comfortably fitted with white mosquito nets, crisp white linen, towels, standard bathroom amenities, bottled water, and insect repellent, and has en-suite facilities including an open-air bush shower. Umlani’s philosophy of simple luxury and “getting back to nature” is enhanced by its entire electricity-free operations. Candles and oil lamps light each hut, and the entire camp, lending it a warm and romantic atmosphere. The evening is at leisure for you to rest and prepare for two exciting days of game viewing ahead. Enjoy morning and evening game drives along with experienced rangers and trackers to spot the Big Five and a host of other wildlife species. Spend the next two days at Umlani Bushcamp, renowned for its outstanding Shangaan rangers and trackers, who will not only help you track down game, but also introduce you to the wealth of flora, fauna, and bird life of the region. Go on morning and evening game drives each day in open-top Land Rovers. There is always a ranger on stand-by for optional morning bush walks. During the day go on short walks with the ranger after breakfast, or lounge in the double hammocks around the swimming pool sipping your favourite drink. 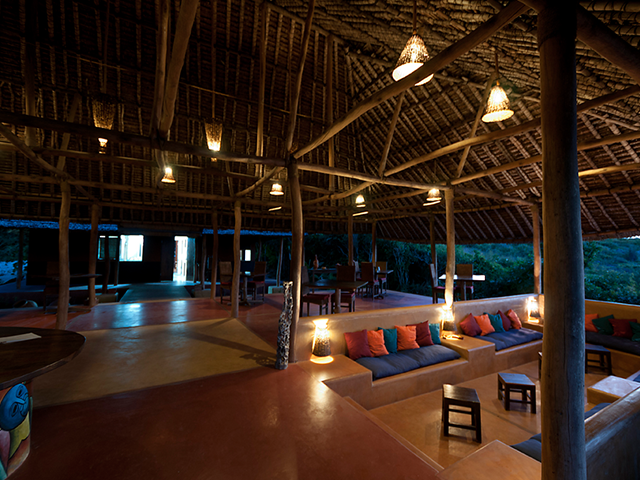 Alternatively, laze away at the spacious bush bar and deck overlooking the riverbed and watering hole. In the evening you will be treated to pre-dinner drinks in the traditional boma (an outdoor entertainment area) around the fire, followed by one of Umlani's award winning meals in the candlelit dining room, or out in the open riverbed surrounded by torch flares and cauldron fires. Travel along a scenic route from Timbavati Game Reserve to Maputo. Your personal drive will take you on a scenic drive from the Timbavati Private Game Reserve to Maputo, the capital of Mozambique. This is a full day’s road transfer and includes a border crossing. Please ensure that all visa arrangements for Mozambique have been made prior to your departure. An early departure from Umlani is recommend with a packed lunch from the hotel to enjoy en route (cost of lunch not included in tour price). Check in to Southern Sun Maputo Hotel at Maputo for the night. Located on a beautiful beachfront, the hotel’s style is reminiscent of Mozambique’s Portuguese past. All rooms are spacious, well appointed, stylishly decorated with private bathrooms, and offer spectacular sea views. Arrive at Nuarro Lodge and spend the day relaxing in a tranquil setting. Fly from Maputo to Nampula (flight not included in tour cost) and transfer to the luxurious Nuarro Lodge. Travel for four hours to Nuarro Lodge, where you will spend the next few days, and treat yourself to some well-deserved beach relaxation. Situated in Nanatha Bay, the lodge boasts a beautifully remote setting and great diving opportunities. Luxurious beachfront chalets afford beautiful views of the bay, and feature refreshing indoor/outdoor showers. Relax on the sun loungers or gaze at the blue sky as you gently swing in your hammock. The evening is at leisure. Indulge in a host of activities* including scuba diving, snorkelling, fishing, kayaking, and dhow cruising over the next three days. Alternatively, sit back, grab a drink, and simply relax. Over the next three days, you can do as much or as little as you choose. A quick stroll around Nuarro will show you that there are plenty of activities available at your disposal. Enjoy a scrumptious breakfast, lunch, or dinner at the restaurant with a panoramic sea view. Treat yourself to an exotic drink at the cocktail bar. Spend time relaxing at the beach or head to the activity centre, which includes a fully equipped dive centre. Experienced PADI (Professional Association of Diving Instructors) and IANTD (International Association of Nitrox and Technical Divers) diving instructors are available at any time to provide personal or group training for all levels. 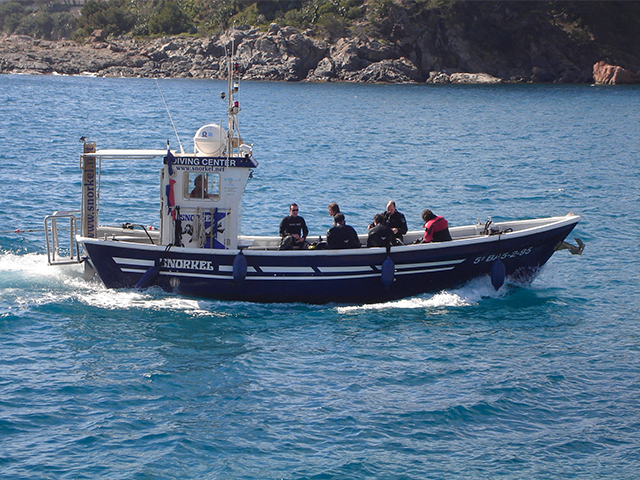 The direct access to the sea, the closeness of the continental shelf, and undiscovered sites make Nuarro an exciting diving location. It is also ideal for snorkelling, fishing, and whale watching (seasonal). You can go kayaking to discover mangroves, secluded bays, and deserted beaches near the lodge. You can also go on a sailing trip or a sundown cruise in traditional wooden dhows to private beaches for an exclusive picnic. If you want to experience the bush, you can explore Nuarro’s conservation area, rich in birdlife, by following the eco trails on foot or on mountain bikes. Alternatively, you can visit an authentic cultural village and meet the friendly Macua people. A highlight of any visit to Nuarro Lodge is a day trip to Ilha de Mozambique (Island of Mozambique), a UNESCO World Heritage Site rich with architectural history, cultural diversity, and tales of slavery and sea traders. The fortified city of Mozambique, a former Portuguese trading post en route to India, is located on this island. See the city’s oldest extant fortress (St Sebastian, 1558-1620), other defensive buildings, and numerous religious buildings (including many from the 16th century). *Please contact us to know which activities are included in the tour cost and which are optional. After eight days of exhilaration and relaxation, transfer to Nampula Airport for your connecting flight home.